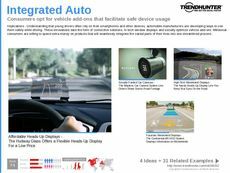 Find Better Ideas, Faster ® with a custom automobile tech trend report, our PRO Dashboard and 80+ categories of premium trend reports. 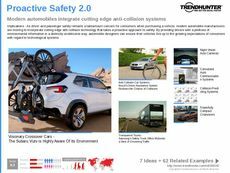 Our Automobile Tech Trend Report investigates the automobile industry, while focusing on the technological devices and gadgets that ensure safety and efficiency for drivers. We will look at the latest vehicle models and address the top safety features and unique technologies that set them apart from other designs. 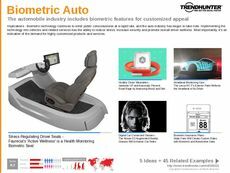 We will also look at the car accessory industry, which will expose the technology devices that can be purchased for vehicles outside of a dealership. 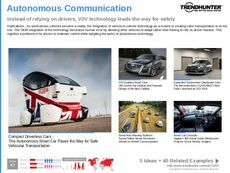 This report will play a key role in addressing the technological advancements that are being made in the automobile industry. 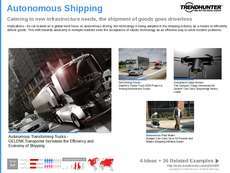 It will be a useful report for both technology and software developers as well as car and vehicle design teams. 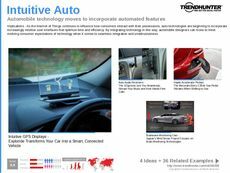 When designing new car gadgets or vehicles, use the Automobile Tech Trend Report to ensure your next product is useful and caters to the safety and convenience of consumers.